Holly Corfield Carr is a writer and researcher based in Bristol and Cambridge, UK. 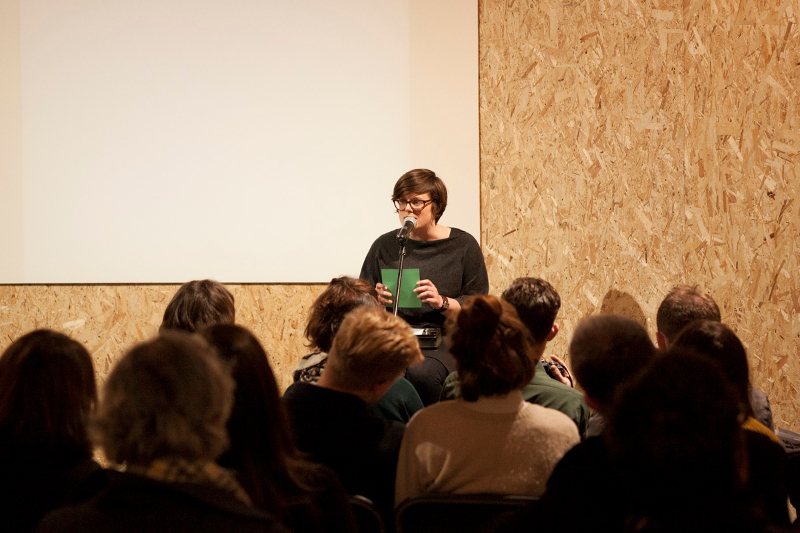 Holly makes poems, books and performances for museums, galleries and sites, including an orchard, an eighteenth-century crystal grotto and a passenger ferry called Matilda. She has read her work on BBC Radio 4 and at the Royal Albert Hall for BBC Radio 3 and worked as poet-in-residence for the Wordsworth Trust, Spike Island and the National Trust. Her writing received an Eric Gregory Award from the Society of Authors in 2012 and won the Frieze Writer’s Prize in 2015. Her most recent publications are Subsong and Indifferent Cresses, published by the National Trust and Trust New Art. Currently completing a PhD at the University of Cambridge, Holly is researching site-specific writing practices and sculpture in subterranean space. During this project, she was awarded a 2016/17 Visiting Research Fellowship at the Henry Moore Institute. Holly teaches for the Poetry School and has led writing workshops for Bristol Zoo, Royal West of England Academy, the British Ceramics Biennial and with young writers in schools and libraries across the UK. Holly is also a Special Supervisor in English at Newnham College, Cambridge. She received development and training as part of the Jerwood / Arvon Mentoring Scheme 2014/15 and has received additional support from Faber New Poets and Arts Council England.